Looking for an elegant and classic French location? 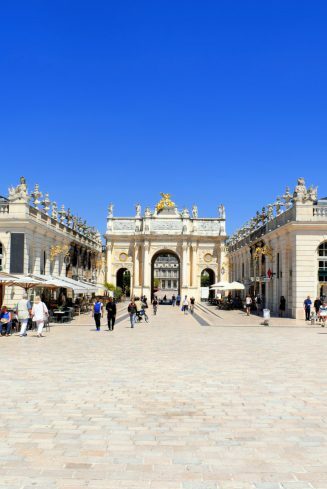 Discover Nancy and its magnificent Place Stanislas, with its golden gates and an architectural ensemble so unique that it was listed by UNESCO as early as 1983. 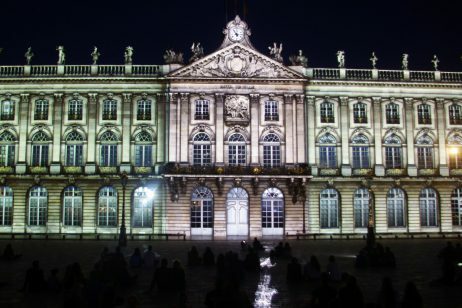 One of my favourite squares in France! 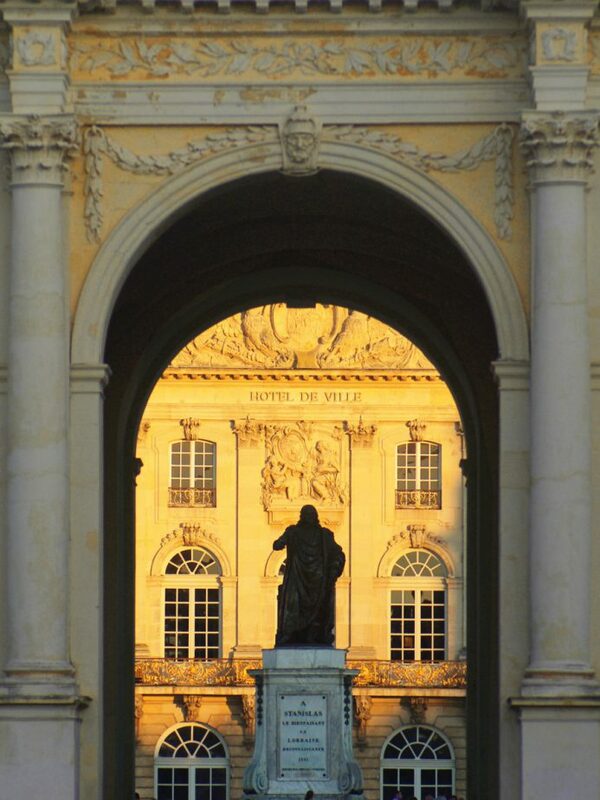 Of all the beautiful squares of France, Place Stanislas holds a very special place in my heart. Since I was born, I have crossed it so many times. First comfortably seated in my stroller, then walking and running as a child. In the 1980s, the square was not as family-friendly as it is now. An ugly carpark was found in the middle and it was open to traffic. 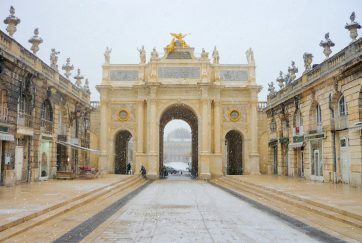 Since the renovation that ended in 2005 everything changed and Place Stanislas has regained its former glory. No more cars, no more carpark. The square is entirely pedestrianised… and draws more and more visitors each year. The square is a good example of French classicism. The pavilions were built by Emmanuel Héré (1705-1763), and the wrought-iron railings are the work of Jean Lamour. 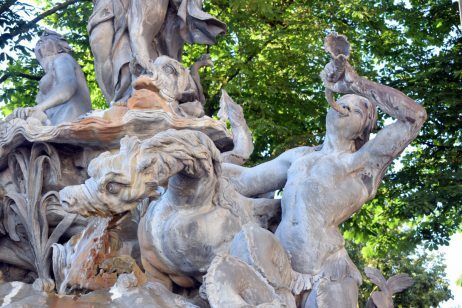 These have made the city famous: finely decorated with gold leaves, occasionally surrounding majestic fountains designed by Barthélemy Guibal (1699-1757). 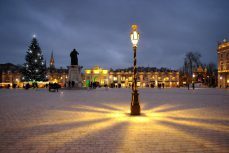 The square was commissioned by the former King of Poland Stanislas Leszczyński (1677-1766) in 1751 in honour of his son-in-law Louis XV. The construction ended in 1755 after 4 years of work. 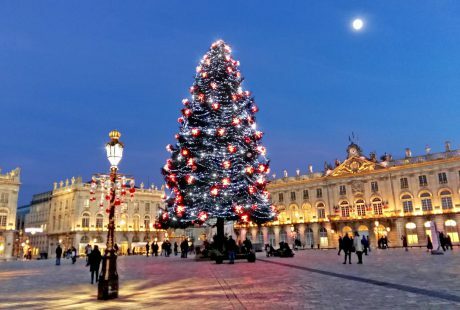 Stanislas’ purpose was to link the medieval old town of Nancy and the new town built under Charles III in the 17th century. 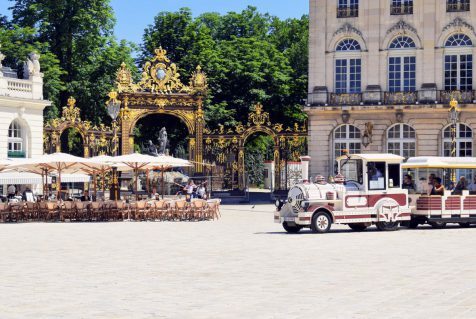 The square measures 106m by 124m and includes the Town Hall, the Grand Hôtel de la Reine, the National Opera, the Fine Arts museum and the Jacquet pavilion, still a private estate. Place Stanislas under construction in the mid-18th c.
To the north, 2 buildings were designed to be lower in order to enhance the architectural setting of the Arc de Triomphe. Then, in the middle of the square stands the statue of Stanislas. 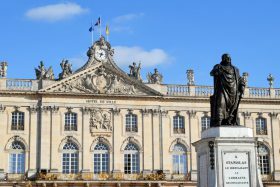 The statue of Stanislas that still stands in the centre of the square today was inaugurated in 1831. 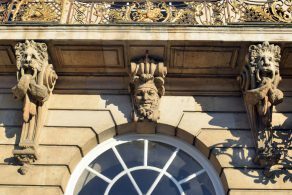 It replaced a four metre-high bronze statue of Louis XV which was destroyed during the Revolution. 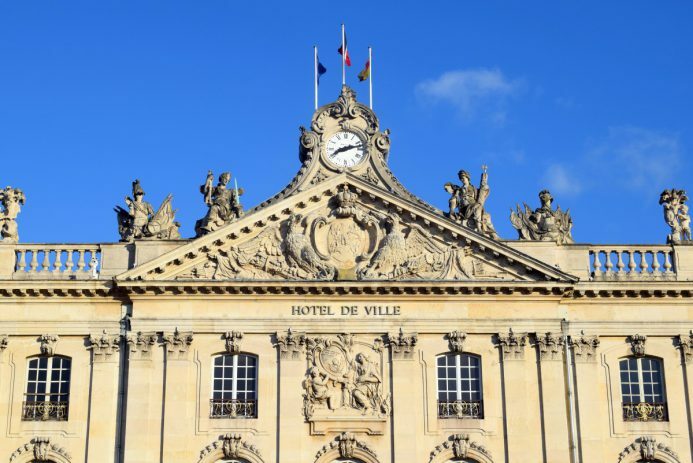 It was during this time that “Place Royale” changed its name to that of “Place Stanislas”. 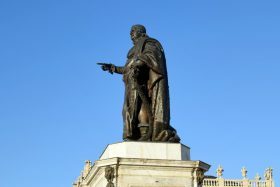 The statue depicts Stanislas standing, dressed in flowing robes, holding a sword in his left hand and pointing towards the north with his right hand. It is said that Stanislas’ finger points to the direction of the medallion depicting Louis XV at the top of the Arc de Triomphe. It stands opposite, facing the statue. (Stanislas Leszczynski, King of Poland, Duke of Lorraine and Bar, 1737-1766). 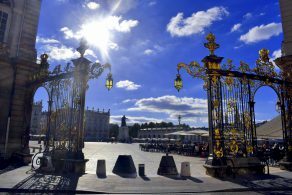 The railings were designed to serve as screens to separate the pavilions, porticos at the angles of the town-hall, or arches of triumph over the fountains: they gave Nancy the nickname of “the Golden Gates City”. They are entirely covered in gold leaves and display Louis XV’s royal ciphers (a laurel branch, roosters announcing a new day) and symbols of vigilance and France, without forgetting the royal fleurs-de-lis. 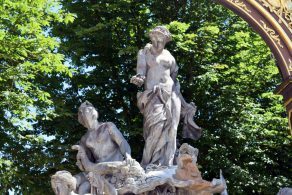 …and Neptune brandishing its trident in the western side (next to the Fine Arts museum). The Arc de Triomphe which stands between the Place Stanislas and the Place de la Carrière is an important monument along the beautiful perspective created between the town-hall (Place Stanislas) and the Palais du Gouvernement (at the very end of the Place de la Carrière). The arch is surmounted by an acroterion supported by a sculpted group and adorned by a medallion representing the King of France. 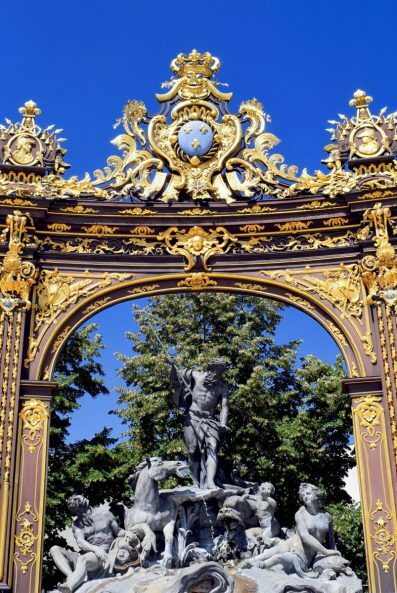 Read more about the triumphal arch of Nancy. 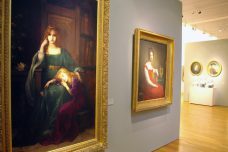 The Fine Arts Museum in Nancy is Lorraine’s most visited museums after the Pompidou Centre in Metz with over 100,000 visitors each year. 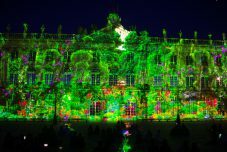 The works of art are brillantly displayed in a beautiful 18th century pavilion ideally located on the famous Place Stanislas. 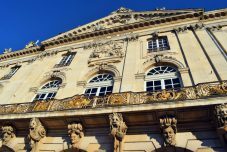 The museum is housed in one of the four large pavilions built on the Place Stanislas in 1755 dedicated to the College of Medecine. 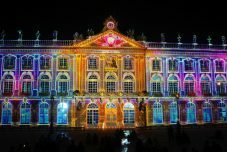 The museum, one of France’s oldest of the kind, was created in 1793 and is known as the Musée des Beaux-Arts de Nancy. 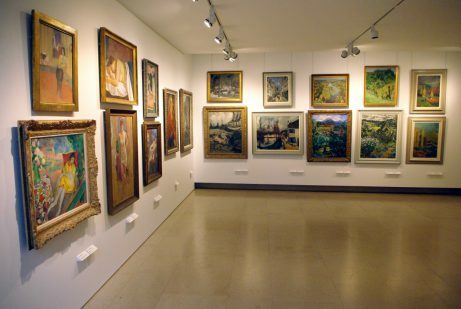 The collections of the Fine Arts Museum represent every European school of art, spanning a period from the 14th to the 21st centuries, including paintings by Perugino, Tintoretto, Caravaggio, Rubens, Eugène Delacroix, Édouard Manet, Claude Monet, Modigliani, Raoul Dufy, Picasso, Jan Brueghel the Younger… to name but a few. 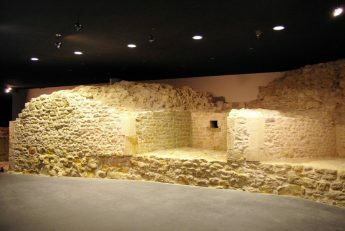 The underground level of the museum is dedicated to Daum. 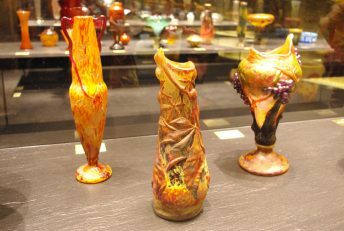 The amazing collection of the crystal manufacturer is worth a visit. This is where you can see the vestiges of the former bastion of Haussonville. 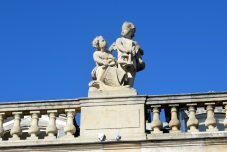 Find out more about the Fine Arts Museum of Nancy. 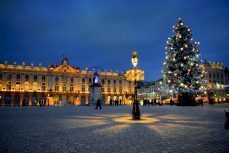 In 2005, Place Stanislas was completely converted to a pedestrian precinct, and recovered its original splendour after two years of refurbishment. The light-coloured paving of the square is delimited by two lines of dark stones forming a diagonal cross motif to keep the space structured. 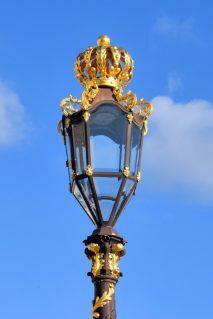 The restoration of the railings and the buildings surrounding the square made it even more impressive. 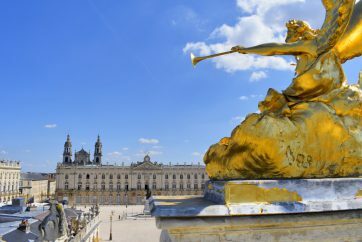 The inauguration of the new Place Stanislas in May 2005 coincided with the square’s 250th anniversary and reunited the heads of state of France, Germany and Poland for the occasion. 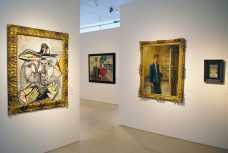 The renovation work were inspired by a painting executed by an unknown artist, which was found in the Château de Pange, in the nearby département of Moselle. 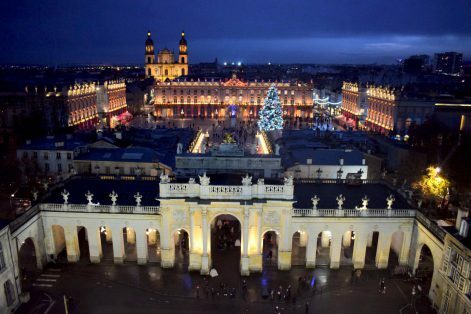 The architects’ mission was to render the square its initial glory, as it appeared on its first inauguration by King Stanislas in 1755. For many, the new Place Stan’ is a total success for it has never been so clear and light. 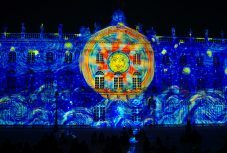 Place Stanislas by night: magical moments! 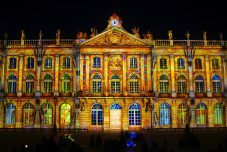 It is definitively worth seeing Nancy by night, especially Place Stanislas when it lights up with silver and gold. 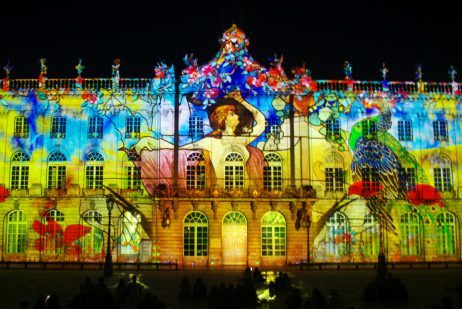 The magic starts during the summer season when a light-and-sound show (Rendez-Vous Place Stanislas) takes place on the facade of the Town-Hall… an unforgettable moment where the history of Nancy and Lorraine is depicted during 25 minutes with colours and music. 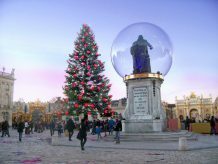 During the Christmas season in Nancy which is dedicated to St. Nicolas, a majestic Christmas tree sits traditionally at the centre of the square. 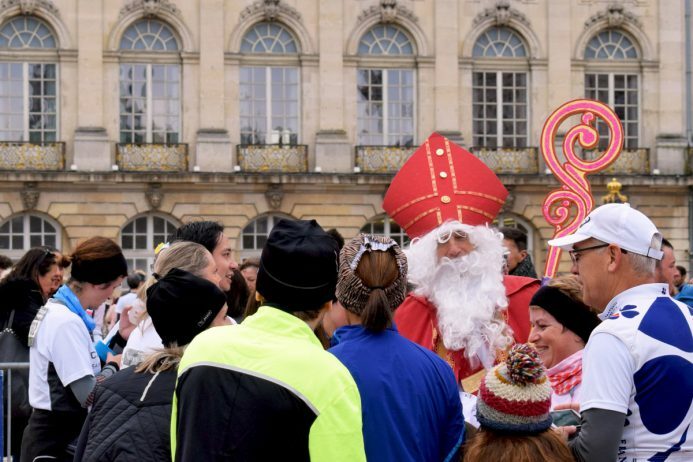 Read about Place Stanislas in FRENCH on Mon Grand-Est.